Noting that most successful careers are not planned, Peter Drucker put it this way: Most successful careers result from understanding what your values are, what you’re good at, what you’re not good at, the kinds of situations you work well in and the kinds of situations you don’t work so well in. Then you try to find a fit with all of that. Another approach: The best way to succeed is simply to exceed the expectations others have of you. If you exceed the expectations of your customers, they’ll probably keep buying from you. If you exceed the expectations of your boss, you’ll probably get to keep your job. Of course, after a time of exceeding expectations, the way you are performing becomes what others expect. Then, if you are to continue to exceed their expectations, you have to improve. And the cycle never stops. There’s a good values fit. Your values and those of an employer don’t have to be identical, but they had better be compatible. Otherwise, you’re going to have problems. You can use your abilities to a substantial degree. Otherwise, you’re going to be frustrated. You can learn and grow. That’s more important today than ever. You think you are likely to enjoy the people you work with. After all, you might be spending half your waking hours with them. If you get all four of those, you’re probably better off than 95% of the population. I’m extraordinarily fortunate to have had all four in abundance my entire career. When you get to the end of your life, you compare what you did with what you might have done, and you compare the kind of person you were with the kind of person you might have been. It’s a relative measure, not an absolute. 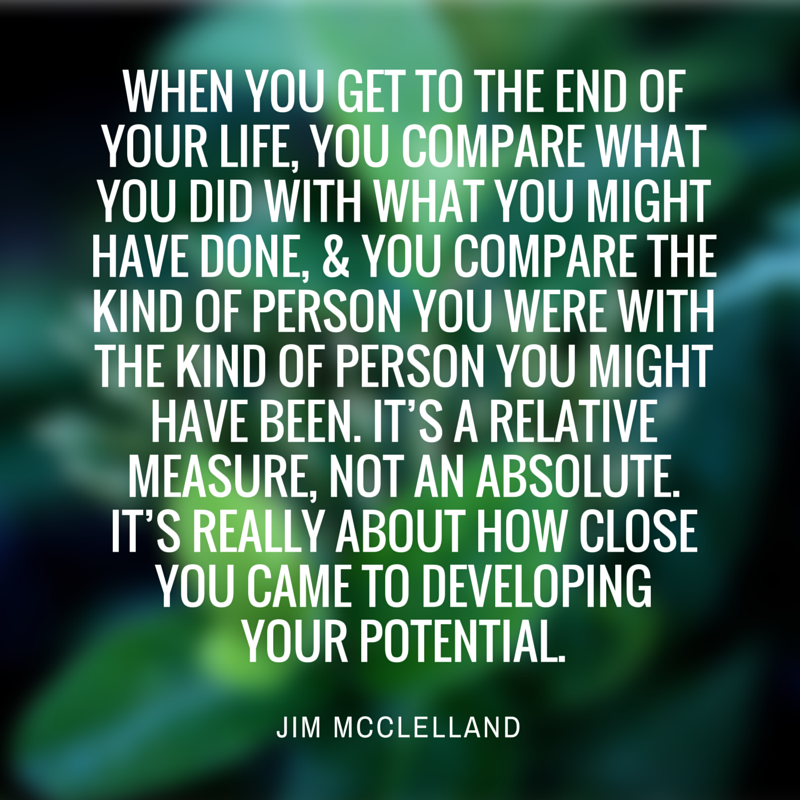 It’s really about how close you came to developing your potential.